Gold ring watch of the brand Davis, suit with a black dial with small stones. Ringwatch is 5 ATM water resistant with 2 years warranty on the movement. The ring will be delivered in a matching package. 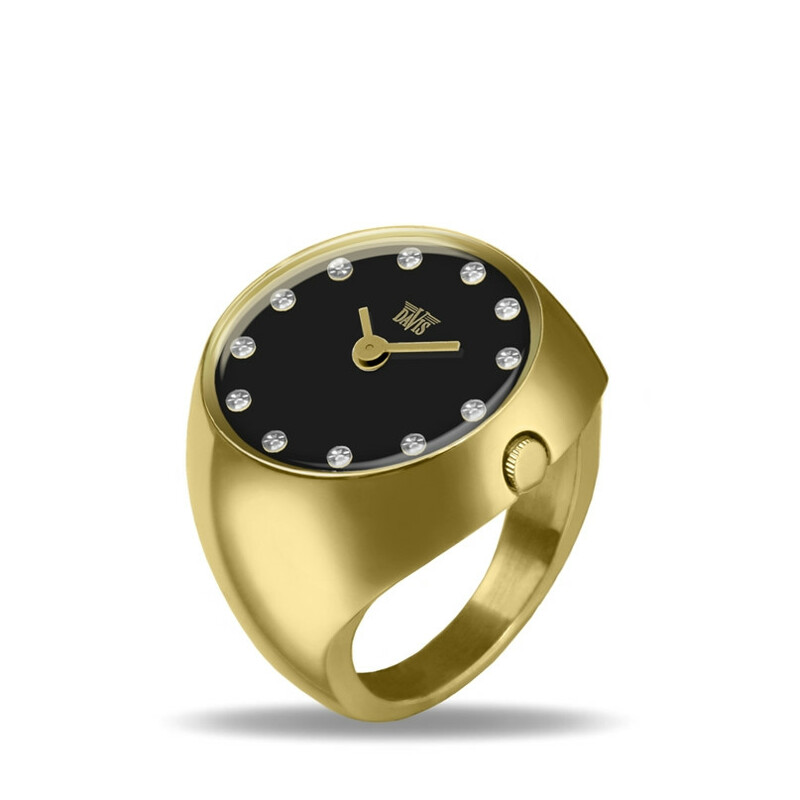 Gold ring watch of the brand Davis, suit with a black dial with small stones. Ring watch is 5 ATM water resistant with 2 years warranty on the movement. The ring will be delivered in a matching package.